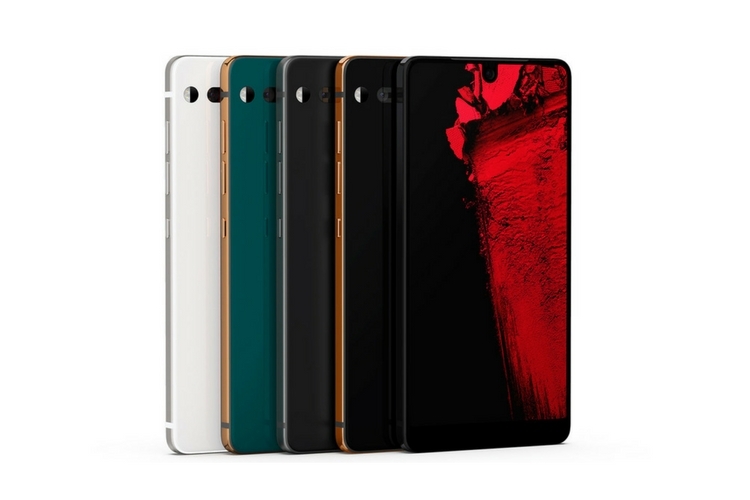 Almost a year after the inaugural launch of the Essential PH-1 smartphone, the company has now launched three limited-edition colors of the phone. These new colors are Ocean Depths, Stellar Gray, and Copper Black, and they’ll go on sale over the next week. Ocean Depths and Stellar Gray colors were announced previously, whereas the Copper Black is a new addition. All three models will be available for $599, which is $100 more than the price of the black or white model that were already available to purchase. Going by the company’s announcement, it appears that these new colors will only be available for a limited time. Essential said that they’re making a “small batch” featuring these new colors; however, the company didn’t say how many units will be available of each. Essential only managed to sell fewer than 90,000 phones in its first six months. Despite their continued efforts, Essential couldn’t manage to attract a lot of attention with this smartphone. Essential’s efforts to keep the device relevant in the market are much appreciated. But here’s why we think the new announcement doesn’t make a lot of sense. Essential is claiming the new colors as “limited edition.” However, considering the fact that they are already having a hard time selling their phones, we doubt if they’ll run out of inventory anytime soon. Additionally, these new colors cost a $100 more than the regular variants. The $599 price tag seems hard to justify since they don’t bring anything valuable to the table other than the new paint job. If Essential thinks that a handful of new colors is all it takes to get people excited in a phone, then they may be in for a rude shock, especially given the number of issues users are facing with the phone. With that being said, if you’re interested in buying any of the new devices, then you can head over to the company’s official website. As far as the sales figures are concerned, we’ll find out soon enough.